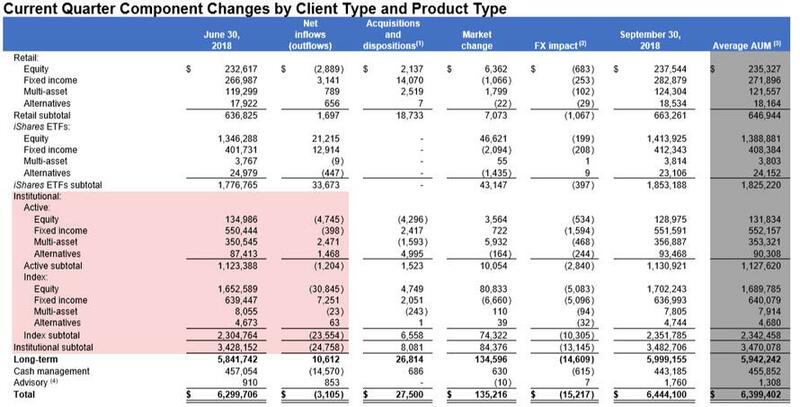 “We’re not particularly happy,” was the understated comment from BlackRock's Larry Fink as he reflected on the mass exodus of institutional assets under management from the world's largest asset manager. “They don’t understand the political instabilities,” he said. 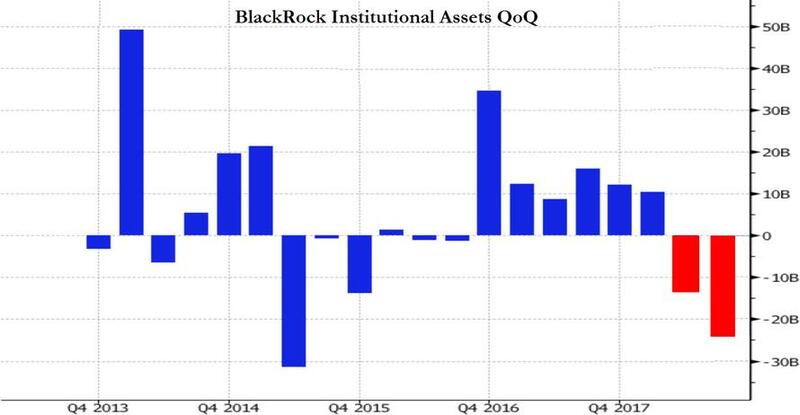 As Retail was piling in (Retail and ETFs), according to Bloomberg data, Q3 marks the largest quarterly institutional index net flow change since the bad old days of 2Q 2015. As Bloomberg's Andrew Cinko notes, that suggests the recent bout of stock market volatility was reflective of investors rejiggering holdings as they prepared for a new macro regime. Kyle Sanders, an analyst for Edward Jones, warned “There’s a lot of anxiety,” he said of the institutional outflows. The bigger question - of course is - what do the institutional managers know? And aren't they the same managers who day after day appear on CNBC proclaiming the bull is far from dead, encouraging retail investors in... the water's still warm. Remember their mantra - "do as we say, not as we do..."